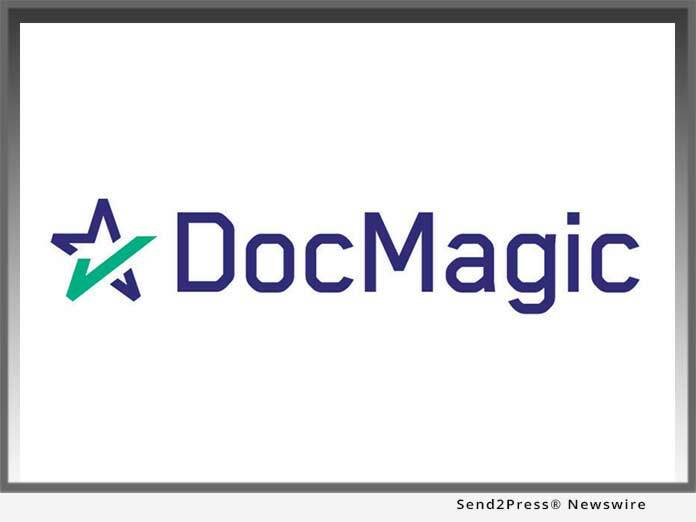 TORRANCE, Calif., Mar 29, 2019 (SEND2PRESS NEWSWIRE) -- DocMagic, Inc., the premier provider of dynamic loan document preparation, automated regulatory compliance and comprehensive eMortgage solutions, announced that HousingWire has honored the company with the HW TECH100(TM) award for the sixth year in a row. HousingWire named DocMagic an early winner, crediting the company's suite of interconnected digital solutions with streamlining communication, collaboration and the compliant exchange of data in real-time throughout the lending process. DocMagic's solutions benefit entities across the digital mortgage ecosystem, enabling seamless connectivity between borrowers, originators, lenders, warehouse lenders, custodians, settlement providers, investors, servicers, GSEs and other relevant parties. "Innovation is a core pillar across our organization. It's important to us that we consistently deliver proven technology solutions that move the mortgage industry towards a paperless digital mortgage process," says Jonathan Kearns, SVP of technology solutions at DocMagic. "At the same time, we will always provide our customers with tools to keep them compliant. We believe our proven, single-source, end-to-end digital mortgage solution offer some of the most innovative and impactful technology within the housing industry and we're thrilled that DocMagic's ongoing efforts were recognized by HousingWire with a 2019 HW TECH100 award." HousingWire is the nation's most influential industry news source covering the U.S. housing economy, spanning residential mortgage lending, servicing, investments, and real estate operations. The company's news, commentary, magazine content, industry directories, and events give more than one million industry professionals each year the insight they need to make better, more informed business decisions. Winner of numerous awards, including a 2012 Eddie Award for national editorial excellence in the B2B Banking/Business/Finance category, HousingWire has been recognized for excellence in journalism by the Society of Business Editors and Writers, the American Society of Business Press Editors, the National Association of Real Estate Editors, and Trade Association Business Publications International. Learn more at https://www.housingwire.com/. Awards and Honors, Business, California Business, DocMagic, Inc., Finance, FinTech, HousingWire HW TECH100, Mortgage, Profundity PR, Torrance, TORRANCE, Calif.